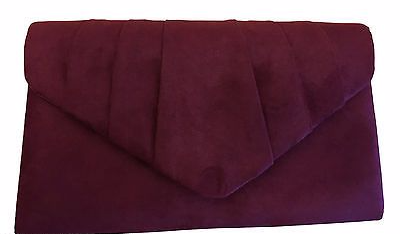 Burgundy coloured faux suede clutch bag / shoulder bag. Measurements : approx. 10 inches / 25.5 cm wide, approx. 6 inches / 15 cm high and approx. 1.25 inch / 3 cm in depth . Fabric lined inside , internal pocket.